Baby #1 took over my house. Brightly colored plastic toys crept into every corner and soon the outrageously bright hues of yellows, greens and reds overtook my strategically decorated home. 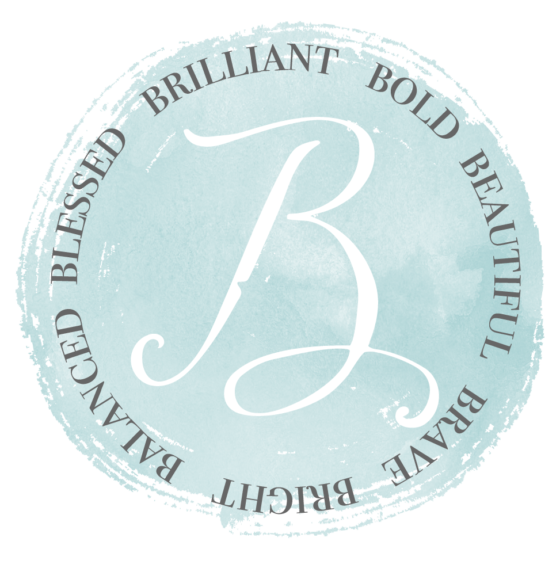 I had a new resolve with baby #2, and vowed to keep a balance between baby and mommy’s “stuff”. One of the baby accessories that is most obnoxious to me are the plastic ABC refrigerator magnets. 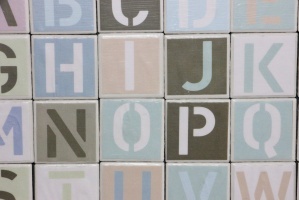 Besides the fact that the colors do not jive with my kitchen hues, they are just poorly made. We have had three sets, and they all died a quick death. 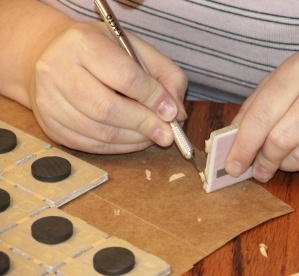 The magnets were tiny and not attached very well – I cringe to think how many may have been swallowed – in fact let’s not even think about that! 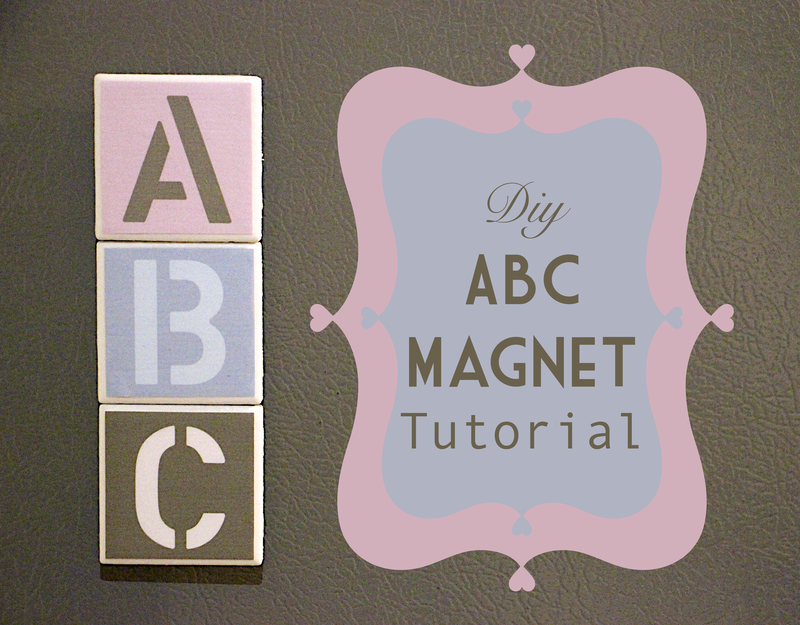 I discovered this fun tutorial on Pinterest and put my own spin on it to devise this DIY ABC magnet tutorial. These are a modern twist on the classic plastic ABC magnets, completely customizable to your own color preferences. I love the finished product so much that I will be adding these to my list of go-to baby shower gifts or children’s birthday presents. 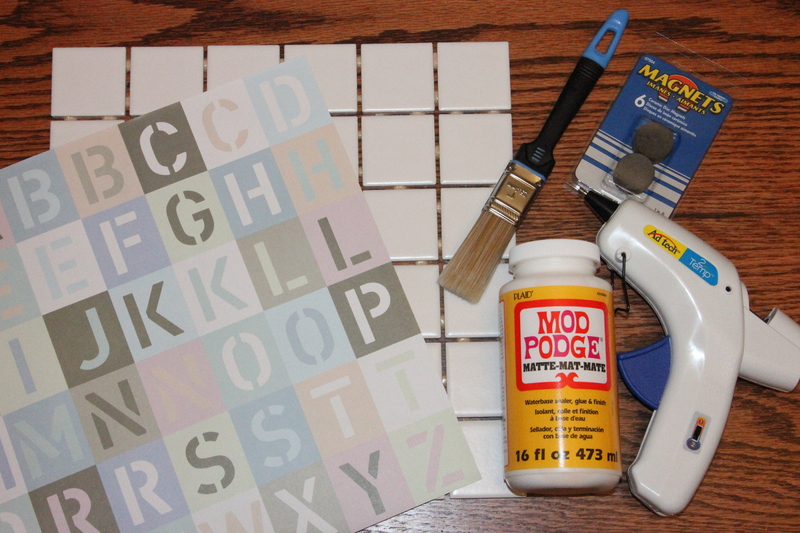 Scrapbook paper with all 26 ABC’s on separate squares (Try to find one where each letter square is approximately 2″ x 2″, you can trim a little bit if necessary) I found mine at Hobby Lobby. 1. 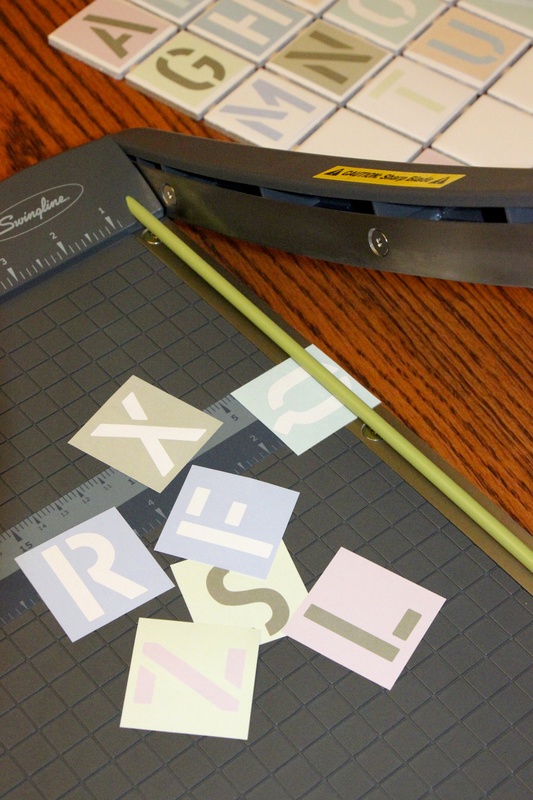 Cut out the letters from the scrapbook paper (get as close to 2″ x 2″ as you can) I ended up trimming them to 1 7/8″ x 1 7/8″ squares because the width of the letters wasn’t quite 2 inches wide. 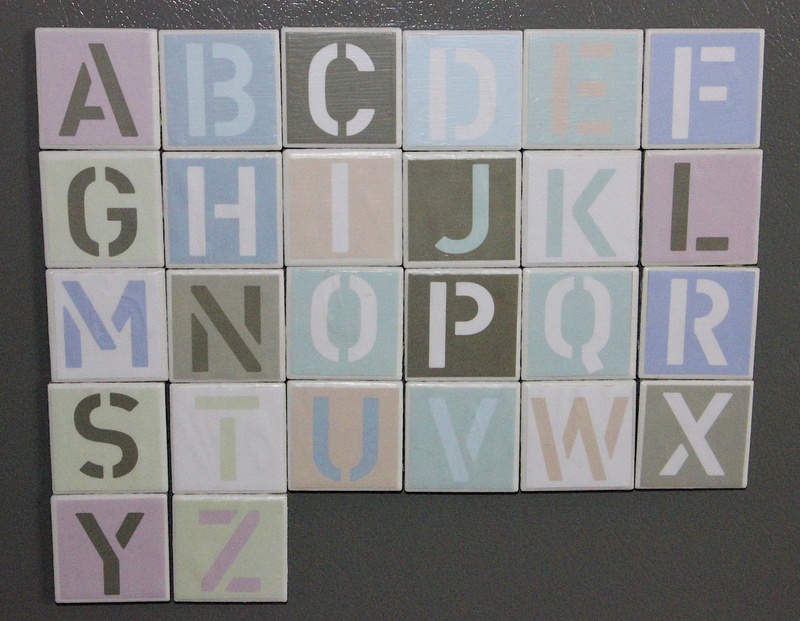 This size leaves a small tile border around the letters. 2. Using the paint/foam brush, paint the back side of one paper cutout with Mod Podge, then paint one tile with Mod Podge. 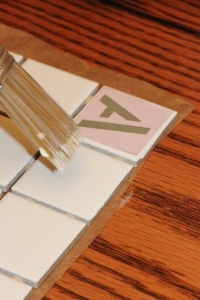 Affix the paper cutout to the tile. Maneuver the paper until it is centered. 3. 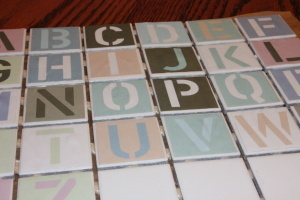 Repeat step 2 with the remaining cutouts and tiles. Smooth out any visible air bubbles. 4. 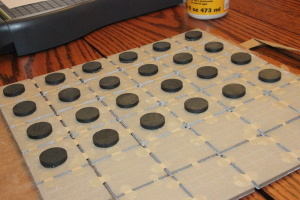 Allow the tiles to dry for no less than 15-20 minutes. 5. 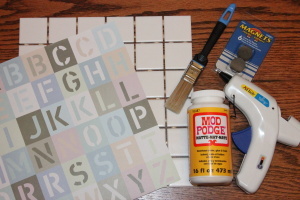 Apply a top coat of Mod Podge to the tiles and allow to dry for an additional 15-20 minutes. 6. 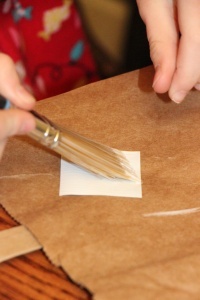 Apply a second top coat and allow to dry for at least an hour. 7. 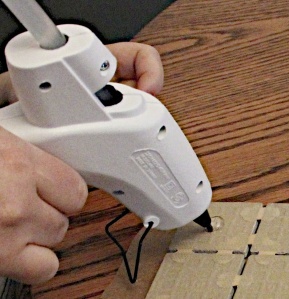 Plug in the hot glue gun. 8. 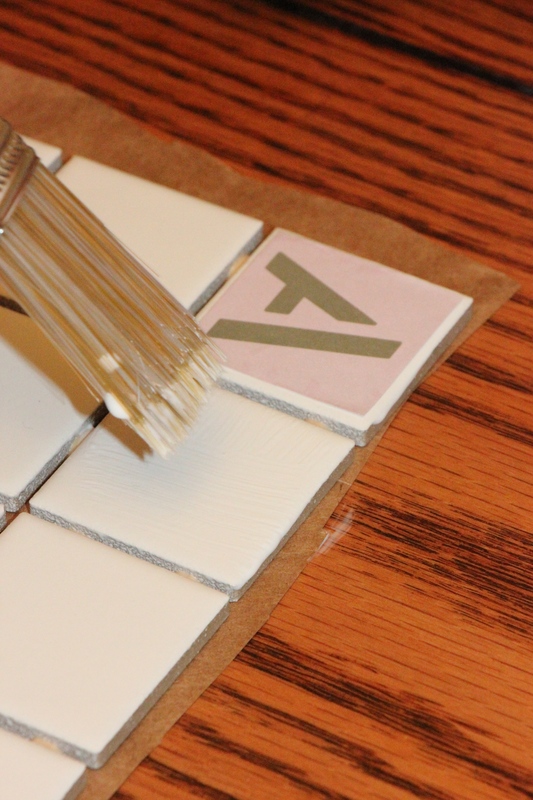 Apply a dollop of hot glue on the middle back of tile and immediately affix one magnet. 10. 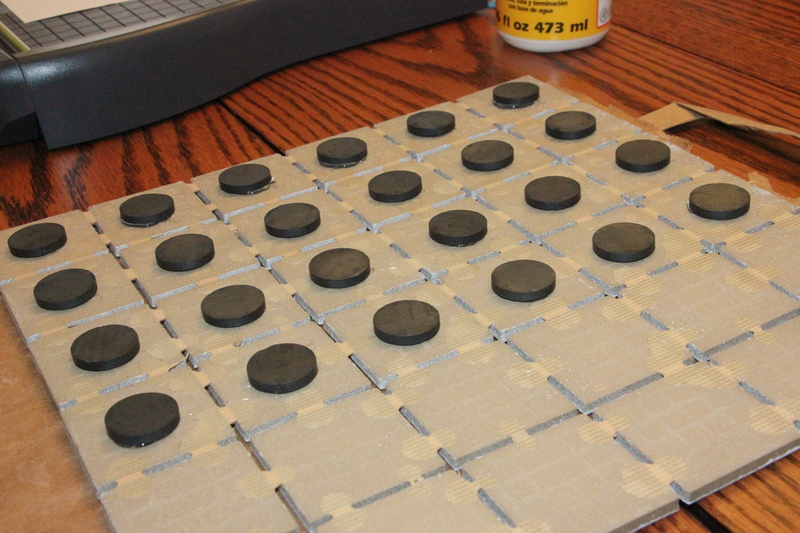 Allow the magnets to dry for 24 hours before use. 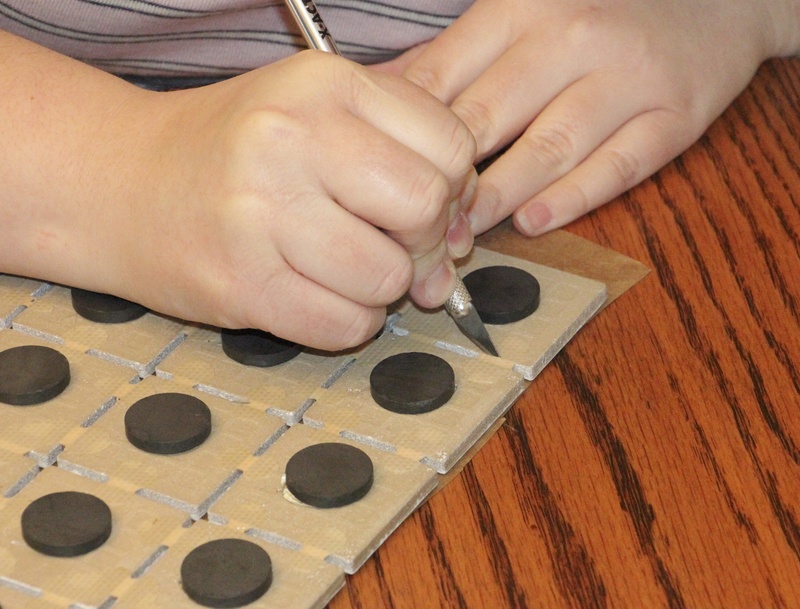 *Disclaimer – magnets can be dangerous for small children. These magnet toys should not be placed in the mouth, and should only be used under parental supervision and for children over the age of 3 years old. 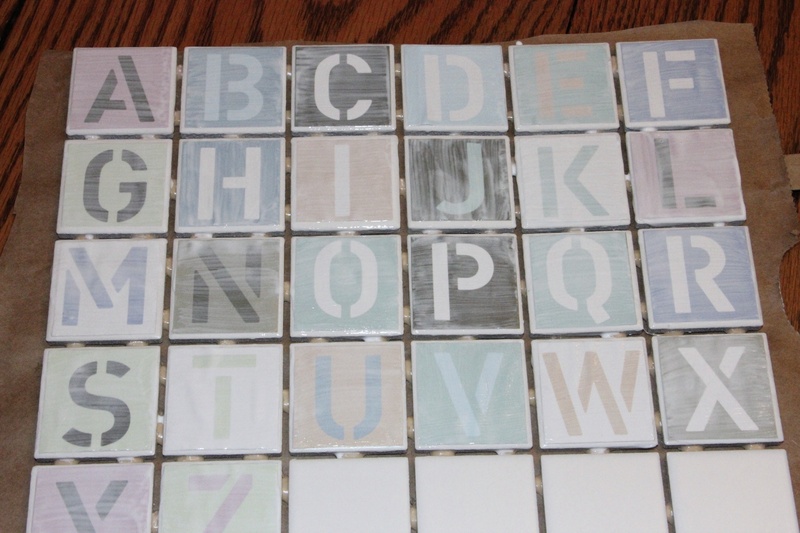 You can use these DIY clay alphabet magnets as a learning experience, or to write fun words and messages on a metal surface. 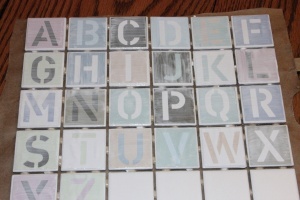 I ve made these before with just ABC stickers, but I love love the cute prints you used. Thank you! How fun that you have made them before 🙂 Thanks for stopping by! 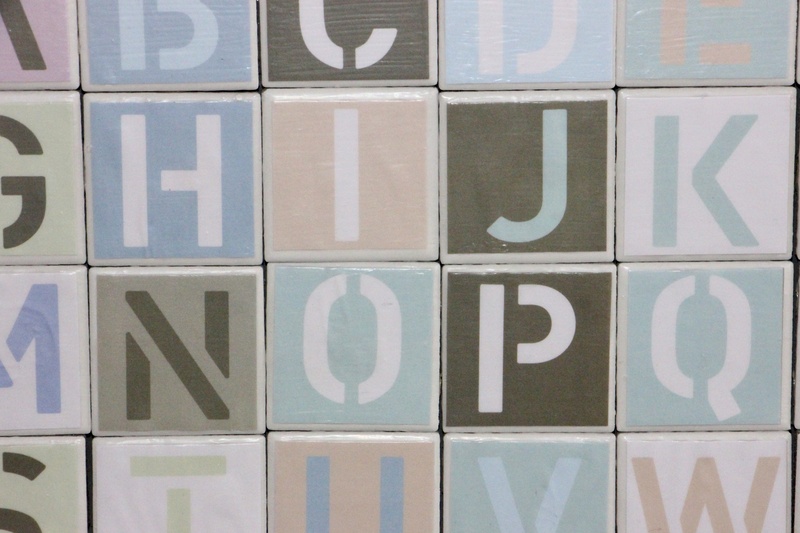 I used painters tape to keep the magnets from migrating towards each other once they are inside the fabric. 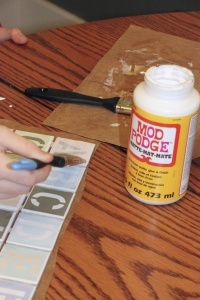 Excellent tip, thank you for sharing!